Congratulations on making the decision to buy a new home! guidance along the way. Let’s get started. Macdonald Realty was founded in Vancouver back in 1944, and has continued to grow through the years and the changes in the real estate market. We’re solid, established and respected, with nearly 20 offices throughout British Columbia. Today, we’re Western Canada’s largest independent full service real estate company, with residential, commercial, property management and project marketing divisions. And we’re still proudly BC owned and operated. Our agents are backed by programs and support that allow them to offer the best service possible for their clients. From our mandatory training to ensure agents are up to date on industry changes, to our commitment to speciality education such as negotiation training, clients can feel confident in the knowledge that our agents are operating with the latest information and strategies for the variety of situations that may arise during your home purchase. Macdonald Realty can help you buy here, across BC, Canada and in over 70 countries around the world. This means that if you or someone you know is buying real estate in another area we can introduce you to a top notch local real estate expert to assist you. Over the last 10 years our Relocation Department has helped clients buying investment or vacation homes in popular sun and ski destinations like Hawaii, California, Arizona and Colorado as well as those relocated for work or family reasons. Macdonald Realty is a member of Leading Real Estate Companies of the World™, a global community of real estate companies awarded membership based on rigorous standards for service and performance. 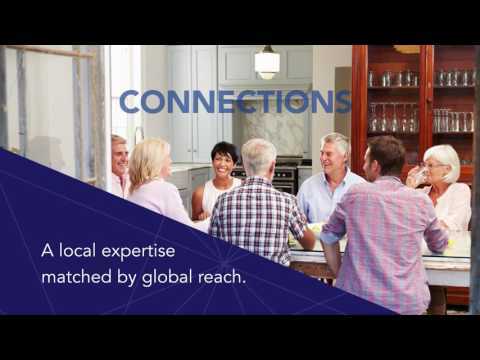 This LeadingRE distinction ensures that you can count on a quality real estate experience when working with us and will benefit from our global connections to buyers and high quality real estate professionals around the world. Together with our LeadingRE partners we form the #1 real estate network in North America based on annual unit sales. Determine exactly how much you can afford before we start looking. Your dream home could arrive on day one of your search. Let’s get prepared. Narrow your search and save time seeing only homes you can afford. Lock in a mortgage rate for up to 120 days with your pre-approval to protect against potential mortgage rate increases. Your pre-approved status may be a valuable asset when making an offer to purchase or negotiating with a seller. It shows you are serious and have your finances in place. Knowing your down payment and monthly payment amounts can help you manage cash flow and expenses leading up to your move. Pre-approval comes at no cost to you and you’re not obligated to accept the mortgage. Sit down with a mortgage specialist to discuss your financial strategy and needs including; mortgage amount, down payment, and purchase price. They’ll explain your mortgage options (fixed vs. variable rate, interest terms, payment options, and amortization) and discuss which of them best suit your needs. At that point you would proceed with the pre-approval paperwork. By choosing to work exclusively with Macdonald Realty, you are entitled to unparalleled customer service and legal protection. Buying and selling real estate is often one of the largest transactions that most of us will make. The experience can be thrilling, financially rewarding, and stressful. A professional buyer’s agent will assist you through this process, and guide you through some of the pitfalls that greet potential property owners. Understanding client needs and motivations are integral to producing positive results and building long-term relationships. Macdonald Realty agents are licensed real estate professionals who work within a legal framework called Agency. Agency provides the real estate agents the authority to represent your interests when dealing with other parties. In the province of British Columbia, an agent owes fiduciary duties to clients whom they represent through agency relationships. Engaging an agent is an exclusive arrangement between agent and client, and ensures that your best interests are always protected. Macdonald Realty agents pride themselves on being industry leaders and possess an array of professional skills not commonly found in today’s real estate industry. This is by no means an exhaustive list, but it will give you an idea of some of the costs associated with a real estate transaction. 3% on the portion of the fair market value greater than $2,000,000, and if the property is residential, a further 2% on the portion of the fair market value greater than $3,000,000. Foreign nationals and foreign corporation are required to pay an additional 20% property transfer tax on residential property located in the Greater Vancouver Regional District, Fraser Valley Regional District, Capital Regional District, Regional District of Nanaimo and Regional District of Central Okanagan. Provided that an inspection was one of the subject conditions of your offer, you will schedule a home inspection after the offer has been accepted by the seller(s). Often, particularly in multiple offer situations, a pre-inspection will be conducted before you make your offer. Depending on the size of the property, the home inspection will usually take between two and four hours. As the buyer, you are responsible for paying for the home inspection. Costs vary depending on the inspector but generally range between $400 and $800. Home inspectors usually require payment upon completion of the inspection so it is recommended that you confirm method of payment prior to meeting the inspector on site. Upon the completion of the home inspection, the inspector will provide you with an oral report. The inspector will follow up with a written report identifying potential areas of concern related to plumbing, electrical, heating, roofing, foundation or structure. If significant issues are discovered through the home inspection you have the option to withdraw your offer, request that the seller(s) make the necessary repairs or have your agent negotiate a price abatement to offset the cost of the expected repairs. Home inspections are not intended to be used as a renegotiating tool and cannot be used to get you out of a contract because you have a change of heart. For example, if the fair market value of a property is $650,000, the tax paid is $11,000. The buyer must be a Canadian citizen or a resident of Canada and have resided in BC for at least one year prior to the purchase of the property. The full PTT exemption applies to properties priced at $500,000 and below and must be 0.5 hectares or smaller. You may qualify for a partial exemption from the tax if the property has a fair market value less than $535,000, is larger than 0.5 hectares, and has another building on the property other than the principal residence. On the purchase of a new construction the exemption is set at $750,000 and below. There is no exemption for the 20% tax. The purpose of ‘subject clauses’ is to allow a particular party (buyer or seller) a specific period of time to confirm and clarify specific types of information integral to the purchase and sale of property. While there are hundreds of potential subject clauses, typically, when buying a detached single family home, there are at minimum five subject clauses that are placed within the contract. Subject to arranging fire and property insurance. Subject conditions must benefit a particular party to the contract (either buyer or seller) and must be removed by a specified date. Upon successful removal of all subject clauses, the contract becomes subject free. If subject conditions cannot be removed on or before the date specified in the contract, the parties may mutually agree to either extend the subject removal date or collapse the offer. Your agent will be able to explain the process and potential implications. Offers on “Strata Title Properties” can be more complex by nature than those on detached properties. Although a buyer and their agent may be looking to purchase one strata lot within a building of strata apartments, they rely on receiving specific types of information relating to the strata lot, the building and the strata corporation. Often, this information comes from the listing agent, the property management company (if applicable), and/or the strata corporation itself. When buying an apartment or townhome, typically the same five common subject clauses are used as with detached homes plus subjects related to the review and approval of documents containing information about the strata corporation and the strata lot. As with detached homes, subject conditions on attached homes must benefit a particular party to the contract (either buyer or seller) and must be removed by a specified date. Upon successful removal of all subject clauses, the contract becomes subject free. If subject conditions cannot be removed on or before the date specified in the contract, the parties may mutually agree to either extend the subject removal date or collapse the offer. Your agent will be able to explain the process and potential implications. A contract assignment occurs when a buyer transfers the contract to buy property to someone else before the completion date. For assignments of pre-sale contract The Real Estate Development Marketing Act allows an assignment to occur. The developer’s contract of purchase and sale will outline if the developer’s approval is required and any costs they may charge for the Assignor (original Buyer on the contract). For assignments of non pre-sale contracts new rules came into effect in The Real Estate Services Act on May 16, 2016. They require the licensed agent to alter a clause in the contract of purchase and sale, add a clause regarding assignments and use the required Notice to Seller Regarding Assignment Forms to produce an offer that allows the buyer to possibly assign the contract to another party at a future date. As a buyer, it is important to discuss possible assignment scenarios with your agent when writing your contract of purchase and sale. The amendments further provide that licensees (original buyers agent) must take certain steps if they are involved in a potential real estate transaction where an offer to be presented to the seller does not include the Standard Assignment Terms. These requirements are further discussed below. A term that provides that you are entitled to any profit resulting from an assignment of the contract by the buyer or any subsequent assignee. A Buyer (Assignee) is advised to obtain legal advice before entering into an assignment of a contract. Should the Assignee not complete the purchase then the Assignor is responsible to complete the purchase under the terms of the original contract of purchase and sale. It is important to know what the current market conditions are in the area you are looking. Here are some terms to help get you acquainted. A Buyer’s Market is a slower market. This type of market occurs when supply is greater than demand, when the number of homes exceeds the number of buyers. Properties are more likely to stay on the market for a longer period of time. Fewer offers will come in, and with less frequency. Prices may even decline during this period. Buyers will have more selection and flexibility in terms of negotiating toward a lower price. A Balanced Market is one where supply equals demand, the number of homes on the market is roughly equal to the number of buyers. Buyers will have a decent number of homes to choose from, so sellers may encounter some competition for offers on their home, or none at all. Remember, an agent is trained to provide clients with this information about their local market, helping you make the most informed decision during the buying or selling process. What HAPPENS AT THE LAWYER or NOTARY OFFICE? Several days before the completion date you will meet with your Lawyer or Notary to sign the documents for the purchase of your property. You will need to bring two types of identification with you such as a driver’s licence and passport. Once your identity has been verified your legal representative will review all of the documents and have you sign them. One of the documents they will provide you is the Statement of Adjustments showing all the costs relating to the transaction. When the property is registered in your name you will have indefeasible title in fee simple, i.e. land ownership. This will have been registered at the Land Title Office by your lawyer/notary. When do you take possession and get keys? The contract of purchase and sale will have a possession date which will allow you access to your property. This usually occurs at noon, or at 1pm for tenanted properties, or as otherwise stated in the contract of purchase and sale. Once your property is registered at Land Title Office you are the new owner! Your agent’s brokerage will notify your agent that the property has registered and they will be able to hand over the keys to you on possession. On possession day do a walk-through of your property with your agent to make sure it is in the condition that you originally viewed it in. Also check all the systems such as plumbing, electrical, HVAC, appliances, etc. to ensure they are in proper working order. Now you can enjoy your new home! The date agreed to by both parties for the allocation and adjustment of property taxes, interest, utilities, rents and other appropriate items. This date is usually the same as the possession date. A situation where the loan exceeds 80% of the appraised value (or the selling price – whichever is lower). This loan must be insured by C.M.H.C. (Canadian Mortgage and Housing Corporation), G.E. Capital (Mortgage Insurance Canada) or other insuring agencies for a fee. Copyright © 2018 Macdonald Real Estate Group Inc.
All material in this document, unless otherwise stated, is the property of Macdonald Real Estate Group Inc. Copyright and other intellectual property laws protect these materials. Reproduction or retransmission of the materials, in whole or in part, in any manner, without the prior written consent of the copyright holder, is a violation of copyright law.